Prism Sound is a UK company known for digital audio converters that are best described as “next level”; these products are found in many of the world’s top mastering studios. Prism Sound also offers a line of no-compromise multichannel solutions for the tracking and mixing studio. 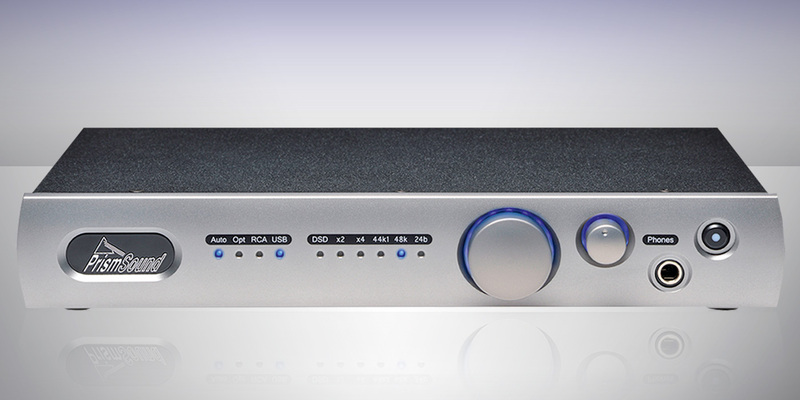 We looked at the Titan, an 8 x 8 mic pre-equipped USB interface in our July 2014 issue. Then we looked at the Titan’s smaller desktop sibling, the Lyra, in November 2014. This is a 2-input unit with 2 or 4 channels of output and varied mic and instrument input choices, depending on which Lyra model you choose. This month we look at CALLIA, the newest product in the Prism Sound pantheon. It’s a 2/3-rack tabletop box similar in form factor to the Lyra but is dedicated to high-end monitoring and listening. 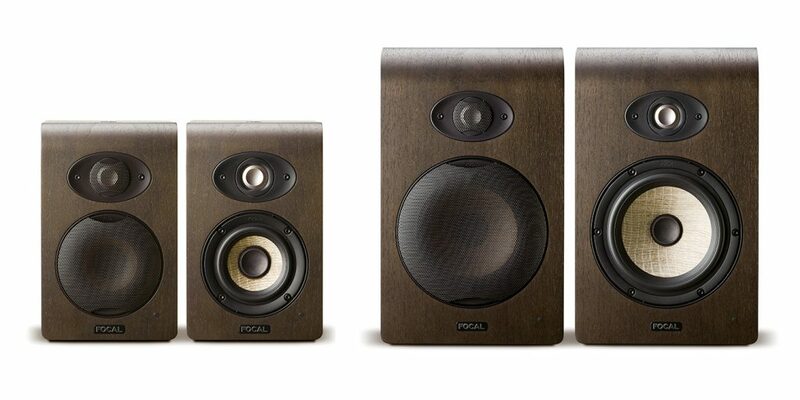 In keeping with Prism Sound’s Greek naming scheme, the word “CALLIA” translates as “Beautiful Voice”. That’s truly a fitting name; CALLIA is a simple and elegant stereo D/A converter that uses the same high-end components and technological attention to detail found in the previously-mentioned Prism Sound recording interfaces. While it’s simple and elegant in design, we should note that the CALLIA is not a no-frills D/A box as we often see in mastering and studio setups. It has a well-chosen feature set that befits its place as Prism Sound’s first product to officially target the home hi-fi/audiophile market. You may be asking. “Why is Recording reviewing a home hi-fi box?” It’s because CALLIA is one of those rare pieces that bridges the gap nicely and will live comfortably in both worlds without compromise. As mentioned, CALLIA shares the same chassis as the Lyra, but rather than offering a meter display or front-panel input jacks, the champagne-colored front panel of the CALLIA offers just three controls and ten LED lights. On the the right of the unit is the multi-function power switch, which not only turns the box on and off but also selects between the unit’s digital input choices. These include S/PDIF over Toslink optical or RCA coaxial connections or USB connectivity. CALLIA can set to auto-sense which digital input is being used, and this function and the three inputs use the first four LED indicators. Moving from right to left, next to the power/input select switch is the 1/4” headphone output and a headphone level control with a blue backlit glowing ring. Next to that is a large, smooth, and beautifully resistant continuous control pot that handles the unit’s main volume. It also has a blue backlit glowing ring that gets incrementally brighter around the dial as the volume is turned up. The last six LEDs indicate digital format and sample rates: 24 bits (vs. 16), 44.1 or 48 kHz, and “2x” and “4x” lights to indicate higher sample rates. CALLIA will handle up to 24-bit/192 kHz audio through any of its inputs; via USB, you can go higher, but a built-in decimation filter will cut sample rates in half (for example, 384 kHz becomes 192 kHz). The final light indicates that CALLIA is playing back DSD. CALLIA handles DSD up to 12.288 Megabits/second, but note that DSD is converted to PCM before conversion rather than converting native DSD. Like many audiophiles and professionals who have read about this choice, I was initally concerned by it; if it concerns you as well, I urge you to read Prism Sound Chief Technology Officer Ian Dennis’ well-written dissertation on the subject at www.prismsound.com/hifi/dsdtech.php. I will say that CALLIA’s DSD playback sounds amazing, PCM conversion or not! On the rear panel are inputs for the optical and coaxial digital signals, as well as the USB 2 jack. CALLIA’s USB input runs on Windows Vista, 7, 8, 10, or later as a WDM audio device. On a Mac, CALLIA runs on OS X 10.5 Leopard or later and is Core Audio compliant. All drivers and firmware-update software are included in the box, preloaded on one of the nicest USB drives I have ever seen—seriously! Outputs on the back of the unit are a choice of balanced XLR (aligned for 0 dBFS = +14 dBu (3.88 V rms) as well as unbalanced RCA (aligned for 0 dBFS = +8.24 dBu (2.0 V rms). CALLIA claims THD+n of –106 dB at 1 kHz (96 kHz sample rate). Finally, there’s an IEX power cable jack and a set of 4 intriguing DIP switches…. CALLIA has no software control; all settings on the unit are chosen with the DIP switches. Switch 1 disables the front volume control and sets the unit to a fixed output level. This is useful if you will be placing the CALLIA inline in a hi-fi stereo setup, or in your studio in conjunction with a monitor controller. Note: if you are not paying attention and you flip this switch accidentally while CALLIA is connected to your speakers and playing music, it will get very, very loud… ask me how I know this! The last two switches work in tandem to control the headphone output. These switches help match the headphone amp to the impedance of your headphones for the best level and sound. There is also a setting to bypass this impedance matching as well as enable or disable the muting of the main (speaker) volume when headphones are automatically plugged in. 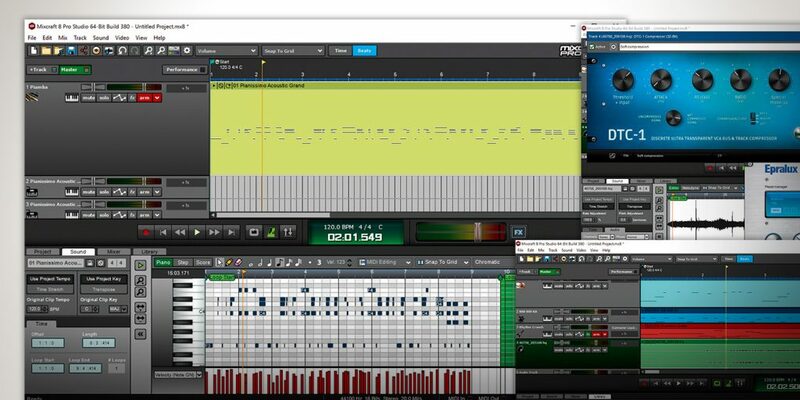 I used CALLIA at my studio for mix playback and checking, as well as in my home editing suite/listening room. I used it to play back lossless 16-bit CD audio files as well as high-resolution PCM and DSD downloads, all played back through JRiver’s Media Center 22 software. CALLIA’s output was run into my Focal Trio6 Be, Amphion One18, and Emotiva Stealth 8 monitors. On the headphone side, I used Audio Technica ATH-R70x open headphones, ATH-M70x closed headphones, and my new Ultimate Ears UE Pro Reference Remastered in-ears. In every case, the sound was among the most clear and detailed that I have ever heard… putting me very much in mind of what I heard during the Titan and Lyra reviews! Prism Sound works hard to not color the sound with analog warmth, extra crispness, or extended bass. It is not what I would call clinical or stark, but it is uncolored and even a tad unflattering to some mixes. Simply put, with CALLIA you hear the music and only the music. 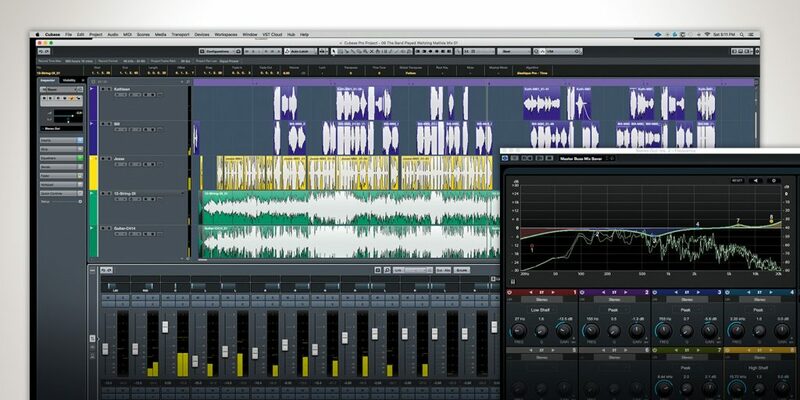 If you are using it for mixing or mastering, it can be revealing to a fault… which frankly is as it should be. This also means that some of your favorite tunes will have their flaws pointed out a touch more than you may be used to, but really well-crafted mixes and music are simply breathtaking through CALLIA. Music played back through CALLIA, whether my own mixes or albums from my reference library in all resolutions and data formats, resulted in quite a few “Oh, holy crap!” moments. There’s not much else to say. My Editor tells me of a chat he had with representatives of Prism Sound at an audiophile event, where they were remarking on how the hi-fi crowd, which was often used to paying huge amounts for boutique converters, were staggering away in disbelief… not just at how good CALLIA sounded, but at how affordable it was in comparison to the blingy tech on display in other booths. If you want a great box that offers world-class studio quality and will also make audiophiles blush, check out CALLIA. You’ve never heard music this way before.